All units at Coppermine have an impressive panoramic view of Beaver Lake and the Ozark Mountains. 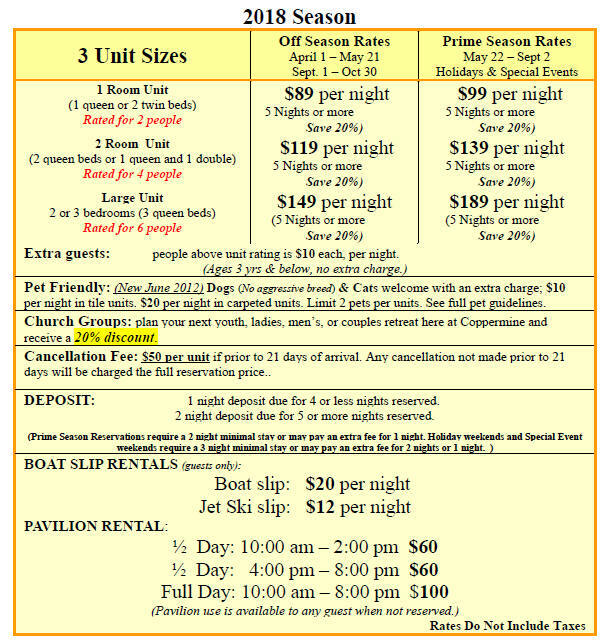 Guests can rent slips on our covered and lit boat dock. Our on site boat ramp allows for easy access to the lake. 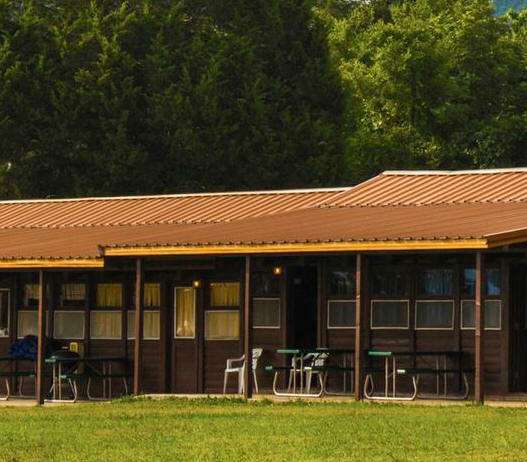 The cabins face the scenic Beaver Lake with Coppermine being approximately in the center of lake, between Rocky Branch and Prairie Creek marinas. Our swimming pool, playground and dock facilities are all within easy walking distance from the front door of any unit! Coppermine has a rich history for many families. The lodge began over 40 years ago on the shores of the White River before Beaver Lake’s existence. Let Coppermine become part of your family tradition! All units include kitchenettes supplied with: refrigerator, coffee pot, microwave, toaster oven, cooking utensils, flatware, VCR, Dish TV, linens, and towels. Click for a print friendly pdf of our rates here.